In order to keep your MINI model lasting the years and miles, it’s crucial to take it to a reliable MINI Cooper service center for any necessary repairs and routine maintenance. Luckily, drivers in the Annapolis, Highland Beach, and Hillsmere Shores areas don’t have far to travel, as MINI of Annapolis is right in their neighborhood. Learn how our service center can help with all your automotive needs, and contact us if you have any questions. Our certified technicians have years of experience working on all types of MINI Cooper coupes, SUVs, and more. They have the training to work on every inch of your vehicle, and can answer any question that you may have. Our team works in a state-of-the-art facility, and uses only genuine OEM parts to get your automobile in tip-top shape. So, whether you need a simple oil change or a tire rotation, or a more complex engine or transmission repair, our technicians will work quickly and efficiently to get you back on the road as soon as possible. Additionally, if your vehicle endured more severe damage, like from getting into an accident, take it to our body shop, where our specialists will get your car back to its ideal form. If you’d like to work on your own vehicle by either doing a simple repair or adding some accessories, you can always order from our MINI parts center. By doing so, you’ll be sure to get quality parts that perfectly fit in your vehicle. You can order parts online today. Simply fill out some information about yourself and your vehicle, and let us know which parts you’d like. We’ll then contact you as soon as the parts are in and ready to be picked up. Also, if you ever have any questions, you can call our parts department or contact us online. A vehicle is a big purchase, so you want to keep it lasting for as long as possible. Our Annapolis service center offers a MINI maintenance program that covers recommended scheduled maintenance for up to three years or 36,000 miles (whichever comes first). For more extensive coverage, there’s the MINI Maintenance+ program, which upgrades the protection to seven years or 125,000 miles (again, whichever comes first). With this program, you’ll get the services mentioned above, plus replacement of wear-and-tear items like brakes and wipers. For more information, be sure to contact our service department. Schedule Service on Your MINI Cooper Today! 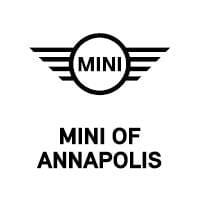 If you live in the Annapolis, Highland Beach, or Hillsmere Shores areas and need service on your MINI Cooper, schedule an appointment at MINI of Annapolis today. Our team will work hard to get your vehicle in quality condition, and we’ll get you cruising down the highway and city streets in no time.